Bringing Lent Home with Pope Francis by Donna-Marie Cooper O'Boyle was published by Ave Maria Press in October 2015 and is our 8717th best seller. 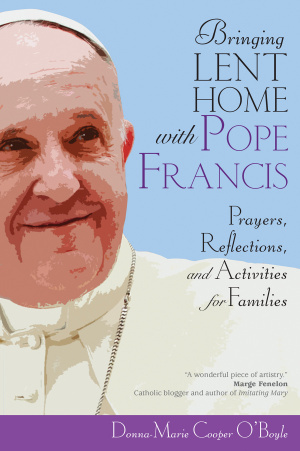 The ISBN for Bringing Lent Home with Pope Francis is 9781594716171. Be the first to review Bringing Lent Home with Pope Francis! Got a question? No problem! Just click here to ask us about Bringing Lent Home with Pope Francis.